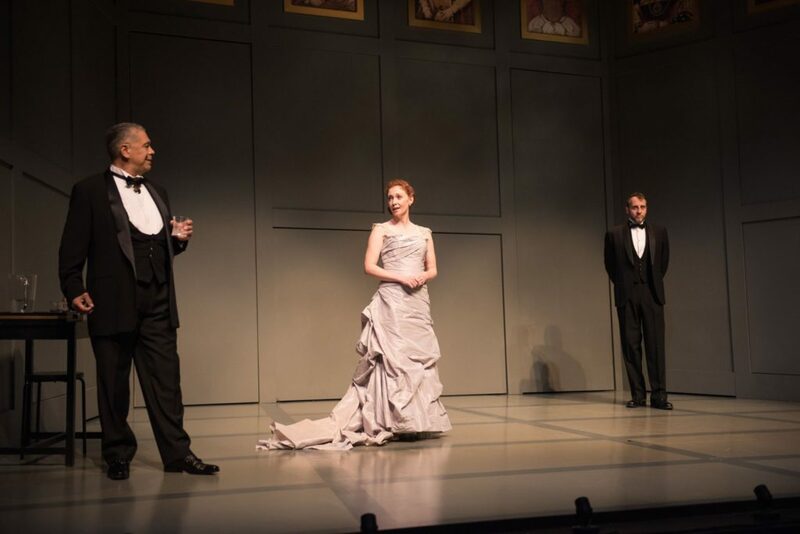 Actors Myla Southward, Lorne Cardinal, and Haysam Kadri as Kate, Henry VIII, and Thom in The Last Wife. Photography: Benjamin Laird Arts & Photo. Having premiered at the Stratford Festival in 2017, The Virgin Trial was yet another runaway hit for Hennig. The script focuses on the political and sexual scandal that set the stage for Elizabeth I to become The Virgin Queen. After the deaths of her parents, Henry VIII and Katherine Parr, young Princess Elizabeth must defend herself against accusations of plotting to kill her brother, King Edward, and having an illicit love affair with her stepfather. While set in the Tudor period, the language and costumes of both plays by Hennig are modern. Members of the Stratford Festival company in The Virgin Trial. Photography by Cylla von Tiedemann. Whether you need a refresher or missed our 2017 hit production of The Last Wife altogether, be sure to review our upcoming recap before catching The Virgin Trial this fall! You can read The Calgary Herald’s 5-star review of The Last Wife by journalist Louis B. Hobson here.